We will be discussing Don’t Even Think About It, Thirteen Reasons Why, and Unbroken. Rachel Caine is the New York Times, USA Today, and international bestselling author of more than forty novels, including the Morganville Vampires series, the Weather Warden series, the Outcast Season series, and the Revivalist series. Rachel Caine will sign and discuss Daylighters (NAL; $17.99), the final book in the Morganville Vampires series. Katherine Kurtz; Rachel Caine, Cape Storm. ; Donato Giancola, Donato Giancola: Painted and Drawn Works 2006.; Paolo Bacigalupi, The Alchemist. Rachel Caine signs Lord of Misrule. Rachel Caine's book The Gods of HP Lovecraft was available from LibraryThing Early Reviewers. Rachel Caine's book Hex Appeal was available from LibraryThing Early Reviewers. Rachel Caine's book Dark and Stormy Knights was available from LibraryThing Early Reviewers. Rachel Caine's book Dark Secrets: A Paranormal Noir Anthology was available from LibraryThing Member Giveaway. 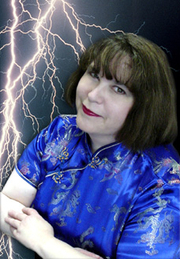 Rachel Caine is currently considered a "single author." If one or more works are by a distinct, homonymous authors, go ahead and split the author. Rachel Caine is composed of 9 names. You can examine and separate out names.